I made my annual business trip to Seattle. This is the first time in four years that the weather was truly rainy and grey. 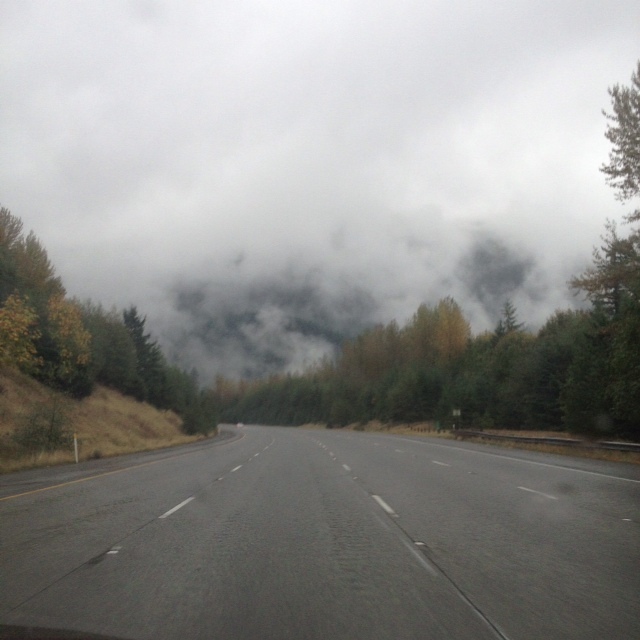 All the other trips have been filled with green scenery and sunshine; a little misty but never rain. Imagine my surprise to have the reality of Seattle touch my personal experience. Fortunately, I was indoors most of the trip attending a convention. In spite of the cooler temperatures I loved my five days in the city. On the one and only clear sunny but wet day, I had a bounce in my step and a smile on my face as I walked the two short blocks to a local eatery, 13 Coins, for a meal with a friend I haven’t seen in over a decade. 13 Coins had floor to ceiling studded brown leather booths. It made me think of dining cars in old train movies. There were alcove tables where couples could sit rubbing elbows on the same side of the table watching passersby. The ambience gave us a stately privacy to catch up over a fabulous breakfast. Sorry I forgot to take pictures. But if you ever make it to Seattle, I encourage you to put 13 Coins on your food tour. Usually when I travel for work, my cohort and I hit the local Ruth’s Chris Steakhouse for the purpose of a perfectly cooked filet mignon. This time we abandoned our own tradition and ventured a try at a new steakhouse: The Capital Grille. Yummy! I won’t compare the two restaurants . They’re both delicious. It just depends on the kind of delicious you want on any given day. 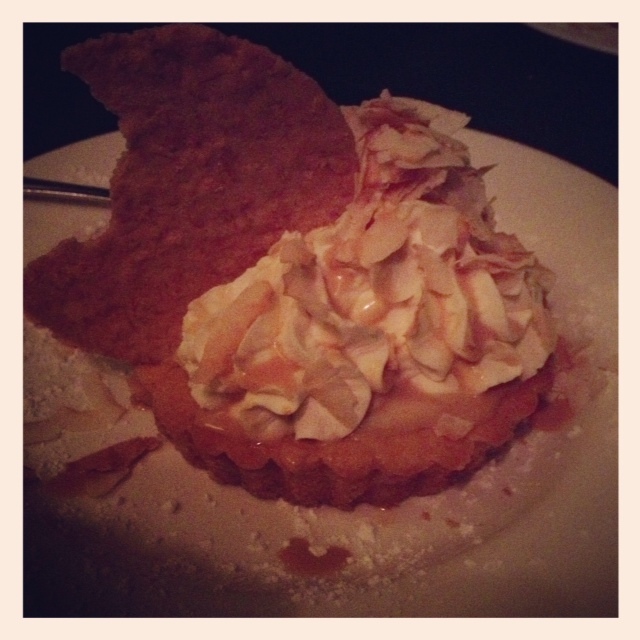 My favorites from the meal were the cream corn with bacon (to die for) and the coconut creme pie (heavenly). My travel companion’s vote would be for their lobster mac and cheese. 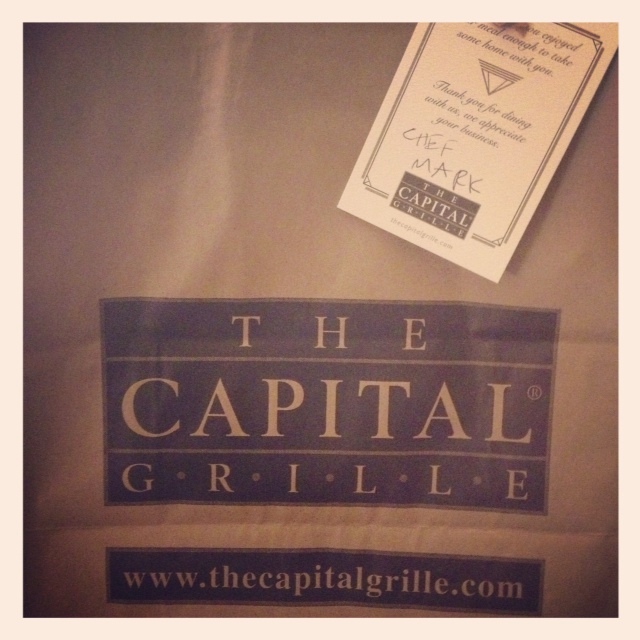 If you don’t have The Capital Grille near you, put it on your list to experience in your travels. But rich food isn’t all that Seattle has to offer. This city is vibrant and alive; always awake. As we left the grille, we were amazed by the number of people roaming the city streets. People who seemed to be window shopping in the city’s thriving downtown area without any concern for the late hour. Picturesque hotels and bright neon lights which were just as busy as the foot traffic. The highways were congested as residents made their way to adventures unknown to us. It’s this hustle and bustle that has us committing to tacking on extra days during our next visit so we have time to sight see, hit the tourist traps, and experience Seattle leisurely. We had lunch in our hotel the last day before heading to our final business stop. 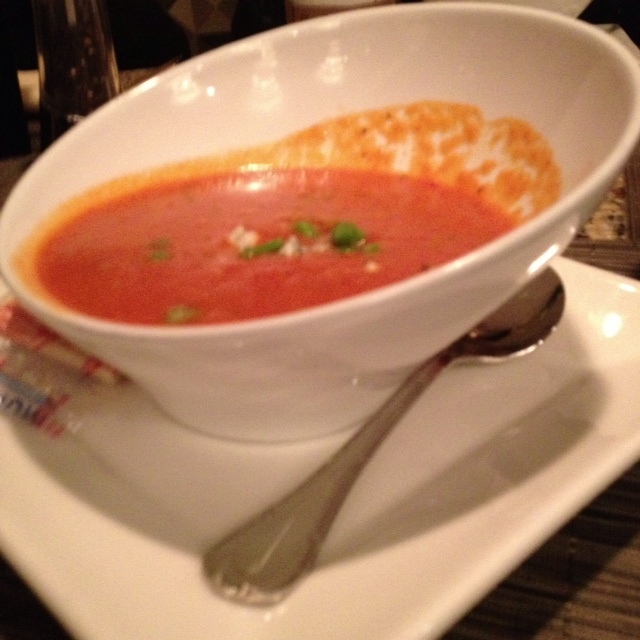 The best part was the tomato bisque in an asymmetric bowl. After which we packed up the car and headed to the gorgeous Suncadia Resort, an hour or so outside of the city. Breathtaking landscape … Snowcapped mountains … Autumn colors touching the trees. Pictures don’t do it justice. We arrived late for our presentation due to snow. Thankfully, our clients were gracious; inviting us to stay the night. But we’re Michigan girls so we know how to handle driving through snow; our first snow event of the year. And despite our love for the Seattle NW area, we were ready to get home to family and friends. So we caught our red eye flight and left the dynamic city behind. 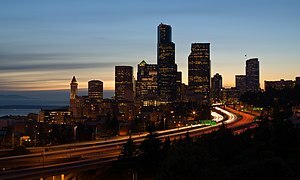 Tell me your Seattle stories. Or, give me the names of some other Seattle restaurants to try. My travel partner is a foodie and up for new places. So long Seattle, see you next year … I’ll be ready for a new escapade. Definitely need to hit up Seattle one of these days. I visited a good friend of mine in Portland and loved it so much. Great food up there! Yes. Put Seattle on your travel list. Gorgeous place. I’ll add Portland to my list. 😉 Thanks for reading. Sounds like a great week. I know 3 dudes who missed you! It was a great week but I would have preferred to be home with 3 dudes. We were just there in August for a Mariners game. I don’t remember the restaurant, so it must not have been a memory-maker. 🙂 We love to visit Pike’s Market! That place is great. Love Seattle! I need to visit Pike’s Market. I also want to visit Puget Sound and the Space Needle. I love Seattle too. I love Seattle. I don’t know of any restaurants there, but have loved every trip and have never seen rain!!! Isn’t that amazing. 4 trips and this is the first I’m experiencing what they’re know for … Funny. Great city. I completey agree! I would actually consider moving there if the opportunity ever arose. I love the mix of urban and mountains – and water, which we have none of in Colorado!